This heavy-weight covering garment can be used in a variety of industrial and food processing settings and is made using durable 100% spun polyester. Hand slits make it easy to access clothing underneath, and three pockets provide ample space to store tools of the trade. 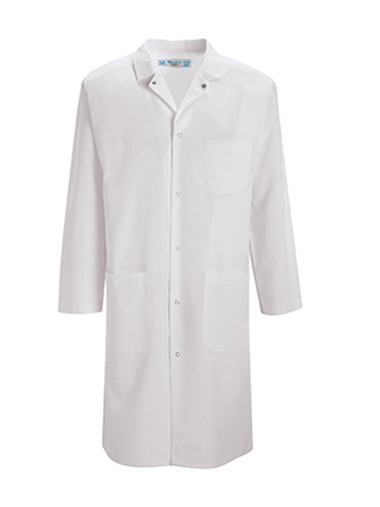 This heavy-weight covering garment can be used in a variety of industrial and food processing settings and is made using durable 100% spun polyester. Hand slits make it easy to access clothing underneath, and an inside top pocket to provide ample space to store tools of the trade. 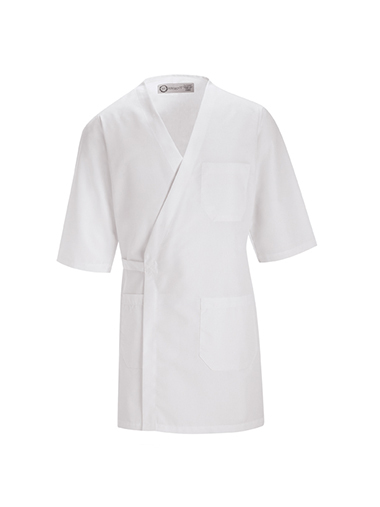 This durable wrap smock features a traditional shawl collar and stays securely closed thanks to two nylon ties. Hand slits make it easy to access clothing underneath, and three pockets provide ample space to store tools of the trade. A lightweight, full coverage wrap smock, made for a wide variety of jobs and industries. This smock features 80% polyester/20% cotton domestic fabric, a self-tie closure, and a divided chest pocket and two lower outside pockets. 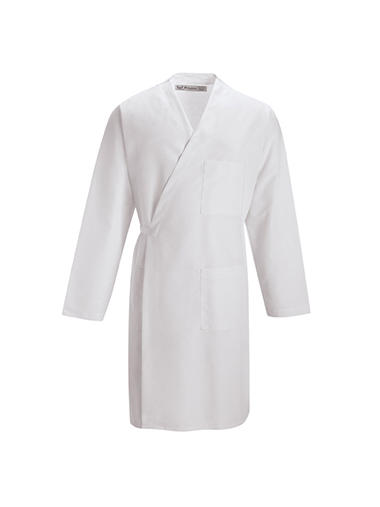 This mid-length wrap smock features lightweight fabric and three quarter sleeves for breathability and movement. Hand slits make it easy to access clothing underneath, and a securely placed inside top pocket and two generous lower outside pockets provide ample storage for tools of the trade. 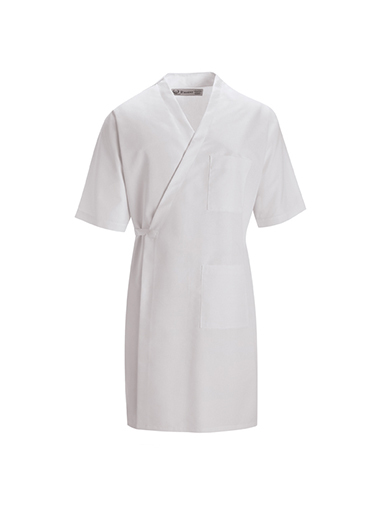 This mid-length wrap smock features lightweight fabric and half sleeves for breathability and movement. Hand slits make it easy to access clothing underneath, and a securely placed top pocket and two generous lower outside pockets provide ample storage for tools of the trade. 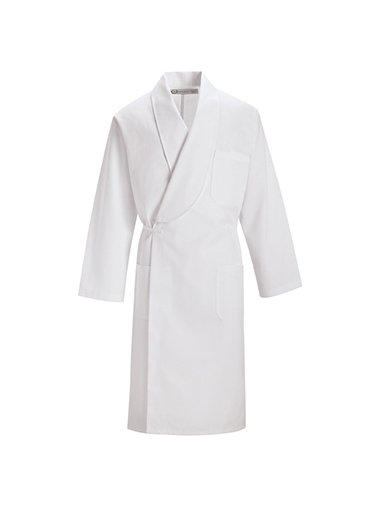 Morgan Image Apparel is a division of Morgan Services, a family-owned textile company with a long and distinguished heritage in the specialty laundry field. Our nationwide network has been providing linen and uniform rental services for all types of facilities since 1887.